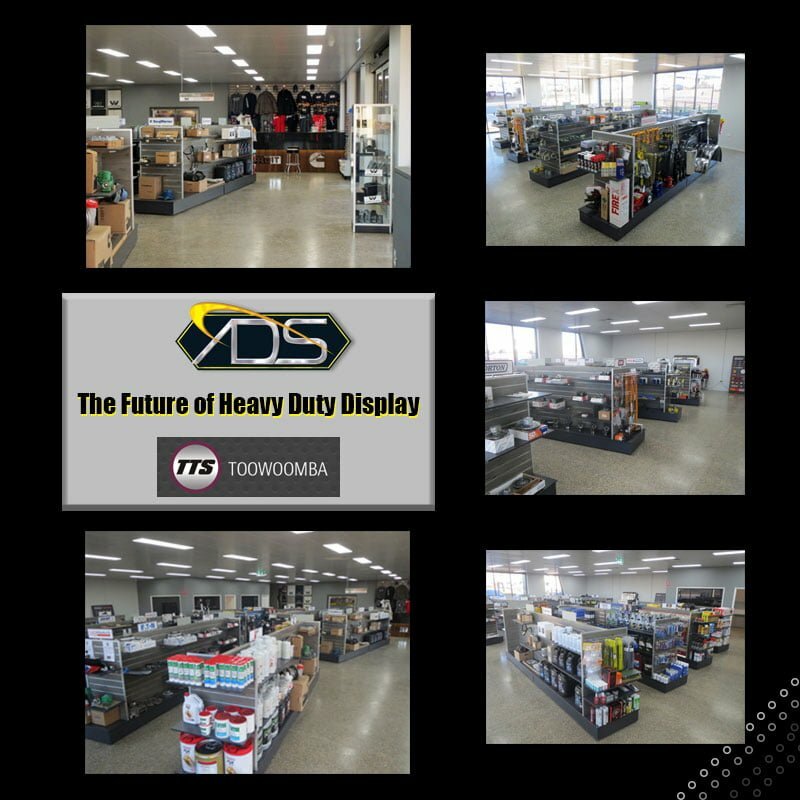 We are proud to present a recent completed job for Toowoomba Truck Spares for their new Heavy Duty Showroom. With a brief of clean, tidy, modern and classy the team got straight to work planning a display system that would present the products to suit the company’s needs. With a variety of products available to suit most trucker’s needs, they wanted an opportunity to showcase the range they offer. Creating a new positive shopping experience was high on the agenda and the team at Toowoomba Trucks now feel their customers see all of the products on offer. The Advanced Display Team was very excited to be involved in implementation of the next stage in the business development for Toowoomba Trucks. The ADS team created a display system using Vivo Gondola system, Slat wall accessories, and Torre Glass Cabinets. Classic showcases that are stylish and cost effective. This system is a simple, stylish and secure way to display your valuables! please call 1800 111 477 or email info@advdis.com.au today!